What is the relationship between these places? Mesopotamia, the land between rivers, refers to a large area between the Tigris and Euphrates rivers. Ur Kasdim is generally identified with the ancient city of Ur in Southern Mesopotamia(in modern Iraq), with it's port and ziggurat. The latter is similar to the Ziggurat of Babel, which likely is referred to in the tower of Babel narritive. 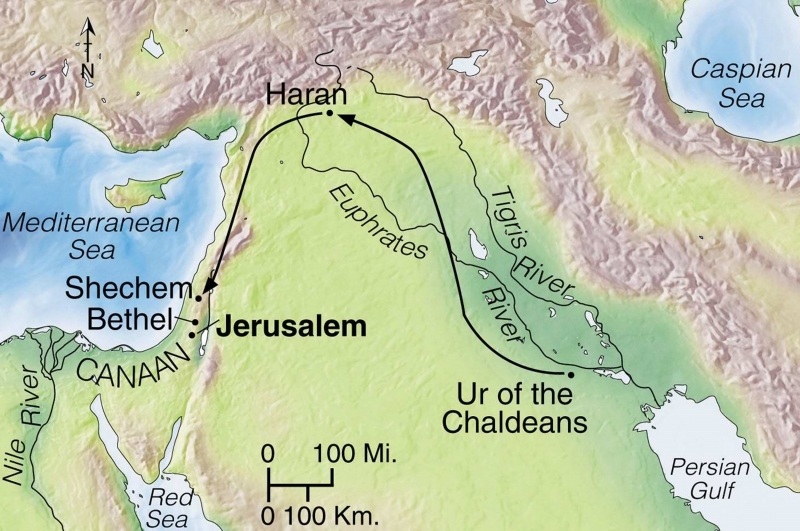 The scripture uses the names Haran, Aram Naharaim, and Padan Aram interchangably. These are generally identified with the ruins of the city Haran in Northern Mesopotamia(in modern day Turkey). Why so many names? 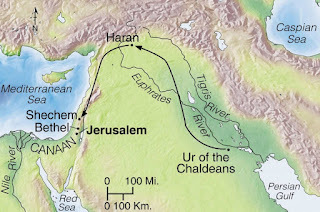 Aram Naharayim literally means "Aramean Mesopotamia". Padan Aram means "Field of Aram", also presumably a name for the whole area. Haran is a particular settlement. Finally, there is Petor. In Bamidbar(23:7) we hear it is in Aram, and in Devarim(23:5) it is called Aram Naharayim. Why does the scripture need to identify the geographic region that Petor belongs to? Hazal approach to this question is to identify Bilam as related to Lavan. Although this isn't stated expicitly in the text, there are numerous literary and narritive parallels between Bilam and Lavan(see here). It completes the picture of the descendents of Midyan(Avraham's son), Moav(Avraham's nephew), and Lavan(Avraham's grand Nephew) plotting against the the primary Abrahamic line. 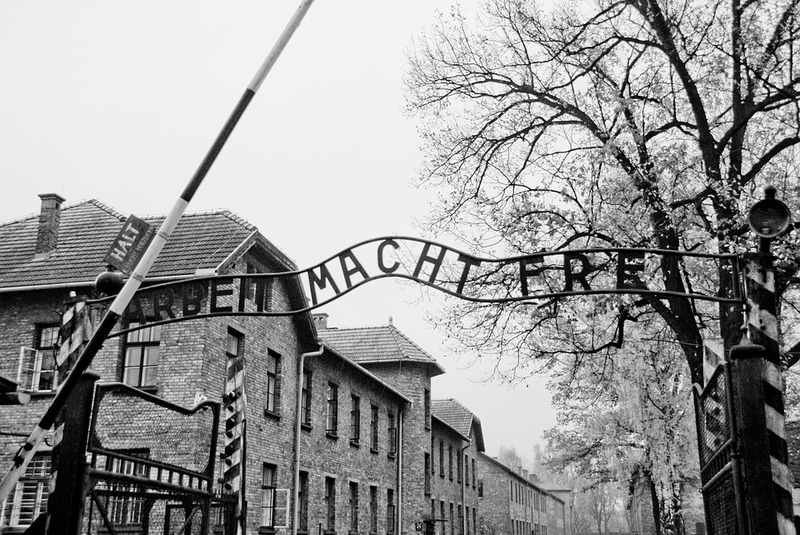 עֵד הַגַּל הַזֶּה, וְעֵדָה הַמַּצֵּבָה: אִם-אָנִי, לֹא-אֶעֱבֹר אֵלֶיךָ אֶת-הַגַּל הַזֶּה, וְאִם-אַתָּה לֹא-תַעֲבֹר אֵלַי אֶת-הַגַּל הַזֶּה וְאֶת-הַמַּצֵּבָה הַזֹּאת, לְרָעָה. נגאֱלֹהֵי אַבְרָהָם וֵאלֹהֵי נָחוֹר, יִשְׁפְּטוּ בֵינֵינוּ--אֱלֹהֵי, אֲבִיהֶם; וַיִּשָּׁבַע יַעֲקֹב, בְּפַחַד אָבִיו יִצְחָק. וַיִּזְבַּח יַעֲקֹב זֶבַח בָּהָר, וַיִּקְרָא לְאֶחָיו לֶאֱכָל-לָחֶם; וַיֹּאכְלוּ לֶחֶם, וַיָּלִינוּ בָּהָר.